What started as an ordinary childhood trip to the movies for Ed Buchinski in 1974 turned out to have great significance later in life. "My parents took me to see Benji, and I remember that the theater in Lansdale had a large chandelier suspended from the ceiling. It was scary," Buchinski remembers. "I was worried that it was going to fall. It didn&apos;t, obviously, and we watched the movie. "But as we left, my parents said the theater was going to be torn down soon, and I cried. I actually cried as a child at the thoughts of such a beautiful building being lost." 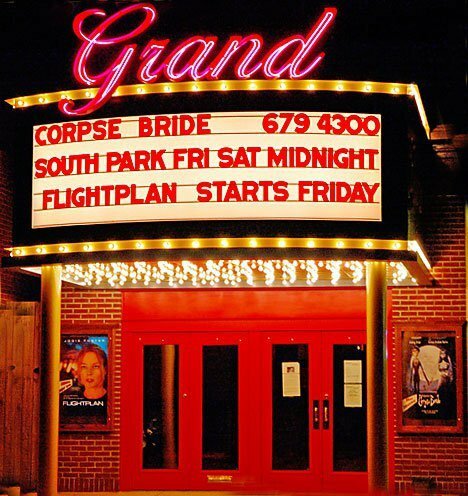 More than 30 years later, that episode - among other influences - propelled him to save and renovate The Grand Theater in East Greenville. Now in its 10th year of operation as a restored jewel, the Grand stands as a true Montgomery County movie palace, a place to enjoy this year&apos;s Oscar winners in 1924-style opulence. "I bought the property at a sheriff&apos;s sale with the intent of turning it into a commercial storefront and renting it," Buchinski says. "It was in sad shape: abandoned, damaged by neglect and weather and completely stripped - seats, projector, sound system, everything. The former owner even removed the toilet paper rolls from the bathroom." Buchinski&apos;s diligence, vision and attention to detail is reflected through the present-day auditorium. The aisles are neatly arranged, and the walls combine richly appointed wallpaper with plaster decorative squares. The curved molding where the tin-tiled ceiling meets the walls holds rows of warm lights to illuminate the perimeter. Augmenting the beautiful sightlines is the scent of fresh popcorn, which wafts through the house like subtle perfume. In an effort to recreate the movie-going experience of his boyhood, Buchinski has added touches that are rarely seen in movieplexes of today. For example, a handsome red curtain hides the screen, and each showing begins with its dramatic parting. "Young kids come in and ask, ‘Where&apos;s the screen?&apos; I think making them wait to see it builds excitement, so we don&apos;t reveal it until we&apos;re just about to start the show," he says. Other policies underscore the idea of movie-as-event at the Grand: The concessionaire dresses in a uniform (tux pants, bow tie, ruffled shirt, burgundy jacket), and the theater does not run preshow advertisements. "Soda commercials ruin the magic," Buchinski says. "Even though I could make money from it. I decided not to." The other throwback to the vintage Hollywood years is Linda. "Linda" is one of two massive theater organs that grace the front of the theater. Side-by-side, these massive music machines evoke a time when silent films required live accompaniment, supplied by organists who either played from a studio-supplied score or improvised their way through 60+ minutes of silver-screen storytelling. 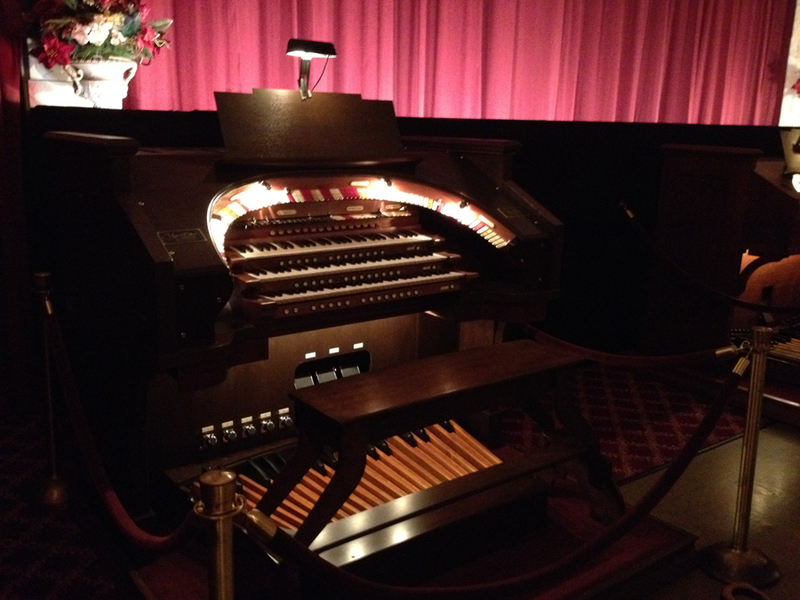 The 1924 edition of the theater had no provision for an organ - much less two - owing to a connection between the then-owner and a six-piece orchestra that played during the features. To install an instrument of the size and power Buchinski wanted, much of the stage behind the screen was given over to the mechanics. As we tour, the Grand&apos;s organist, Carl Black Jr., is on hand, and Buchinski arranges for him to raise the screen. Its absence reveals a wonderworks of air-driven pipes, gizmos and gadgets, as if Willy Wonka himself had designed a musical instrument. As Buchinski shows me the inner workings, Black begins to play. Bass notes resonate deeply in my solar plexus as his feet crawl crab-like down the lower notes of the pedalboard. 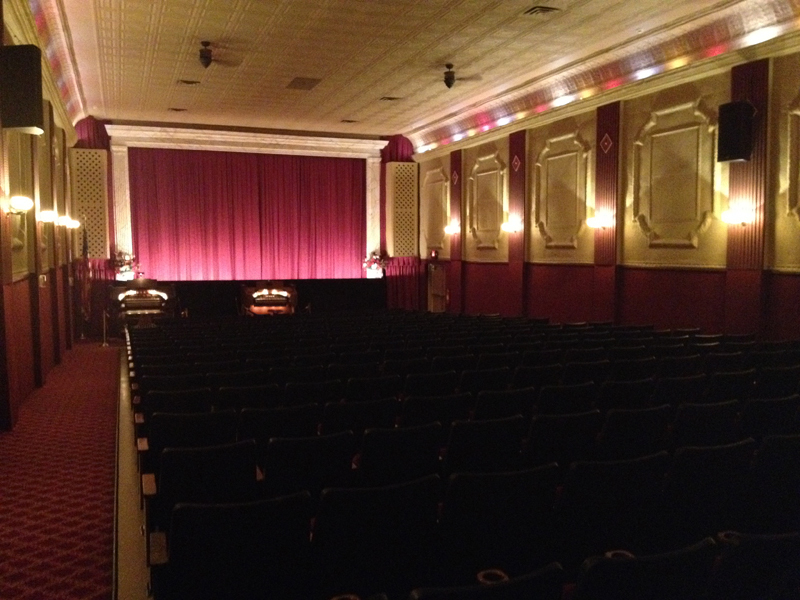 The Grand may revive traditions of movie houses from long ago, but its technology is clearly 21st century. The sound system is state-of-the-art; the projector is digital; and the auditorium can accommodate group-play of Xbox games on a supersized scale. One of the challenges in managing a single-screen house is that it frequently sells out. "When we showed Frozen," Buchinski recalls, "I had lines and lines and lines of little girls waiting to get in. And when we could not accommodate any more of these little Elsas and Annas, it was me who had to go outside and ask them to come back to another show. I had to deal with all those tears!" Occupational hazard, it seems. One of the few drawbacks to doing something he loves so clearly. If there is any other downside to running The Grand Theater for Buchinski it is this: He seldom, if ever, watches any of the films that are screened daily. "I&apos;m too much of a control freak," he says. "I&apos;m constantly looking at the quality of the picture, listening to the sound, evaluating the experience. I&apos;m way too busy. If I even see one piece of popcorn on the floor as I&apos;m walking by, I&apos;ve got to go get it and pick it up." "So," I ask. "When you want to enjoy a movie, where do you go?" He smiles before answering: "Netflix." In this post-Oscar period, it is worth noting that the film Grand Hotel won Best Picture way back in 1932, when The Grand was only eight years old. Montgomery County has more than its share of "grand hotels" participating in our winter promotion. For details, see our website. 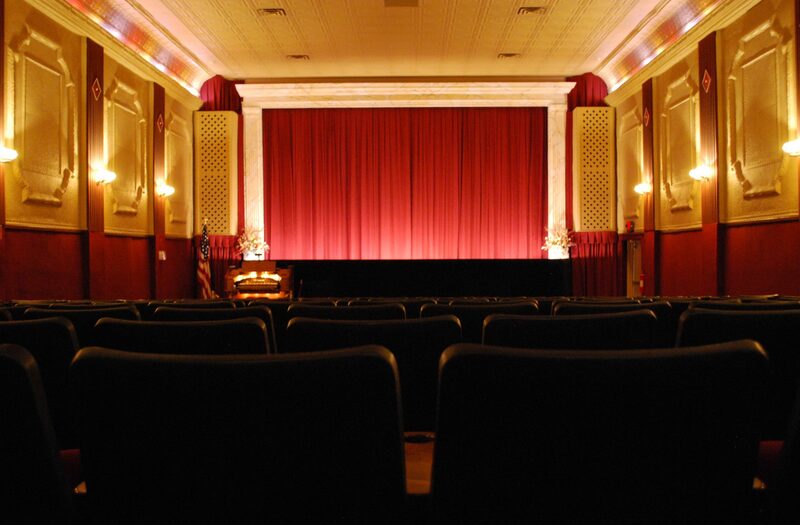 After an evening at the movies (in East Greenville or anywhere else), tell your family, friends and neighbors about it by sharing a comment online, using #MakeItMontco.